I've just put a selection of pics in my album of the light mounts that I'm now selling. They mount on the side of the engine, so do not add to the unsprung weight, and the kit includes everything you need, a set of left and right mounting plates and all the spacers, bolts and washers. 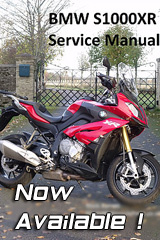 Fit S1000XR and S1000R. £50 a set. Please see my website for details. Thanks, Mark.